Oba Ogunwusi was speaking through the Director Media and Public Affairs, Ooni’s Palace on Wednesday. The Ooni said: “nobody should castigate anybody for doing what he did because of the position he holds and because of his age. Ooni would not stop to accord his colleagues and every category of people the respect they deserve. 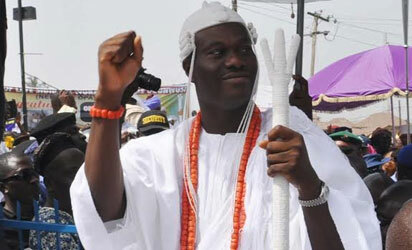 “The Ooni of Ife is not ready to make any official statement over what happened between him and the Oba of Lagos.